← “Wednesday’s with Axel” Inflation or Deflation? 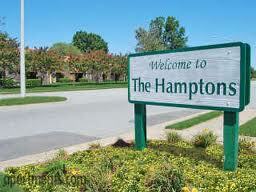 The Hampton’s are a favorite playground for much of the professional capital market community. Personally never being there, I am not sure what the deal is, but I am certain it exists. Over the last few weeks, yearly records are being broken…the lowest trading days of the year. A new day marks and even slower day of trading, validating what must be a busy time for the store owners and shopkeepers at the Hampton’s. Interest rates (10 year treasury), after spiking from a low of 1.60% to 2.74% have treaded water around the 2.50-2.80% range for the summer doldrums weeks (the last few days at the higher end.) Unless a major event (hot/cold economic number or Fed talking head speech) occurs, this will most likely continue until at least September. Equity markets, while soggy and sloppy are following the lead of their interest rate cousin and also treading water. We are under a psychological level (1700) on the S&P 500. As of late, levels have meant nothing once market participants get back in the cockpit. So we tread water in Equity markets too! Ahhh, but guess what?….Today is another summer Friday, heading into a weekend! Enjoy those special in your life and have a great weekend! This entry was posted in Investing/Financial Planning and tagged Equity Markets, Interest Rates, The Hamptons. Bookmark the permalink.